On Thursday, 18 Iyar, Yad Vashem, the World Holocaust Remembrance Center, will host a ceremony posthumously honoring Henri and Emilie (Neyes) Lamberty from Belgium as Righteous Among the Nations. Director of Yad Vashem’s Righteous Among the Nations Department Irena Steinfeldt will present the medal and certificate of honor to Jacqueline Lamberty, daughter of the late Henri and Emilie Lamberty, on behalf of Yad Vashem, the State of Israel and the Jewish people. Belgian Ambassador to Israel H.E. Mr. Olivier Belle, Director General of the Belgian Ministry of Foreign Affairs, Foreign Trade and Development Cooperation Anick van Calster and Holocaust survivor Georges Gutelman and his wife Aline Gutelman will attend the ceremony, which will start at 11:00 and be conducted in French. 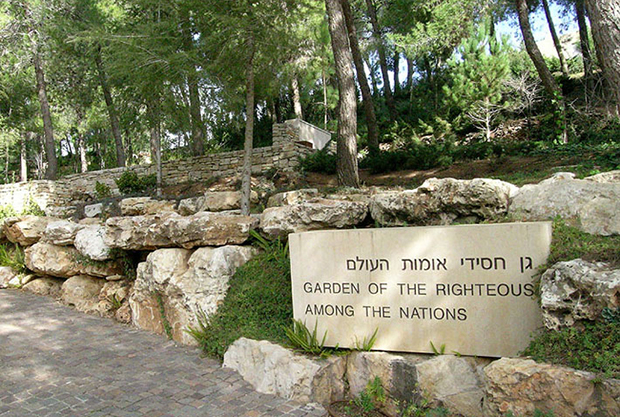 The names of Henri and Emilie Lamberty will be added to the Wall of Honor in the Garden of the Righteous Among the Nations at Yad Vashem. Henri Lamberty was a carpenter who lived with his wife, Emilie, in Voroux-Goreux, Belgium. Towards the end of 1942, Jacques Gutelman, a Jewish salesman from Liege, turned to the Lambertys for help. After Jacques’ wife Rywka was deported to Auschwitz on 12 September 1942, Jacques had joined the underground and was looking for a safe place to hide their two sons. The Lamberty family opened their doors and their hearts to five-year-old Georges and hid him until the end of the occupation when his father came to collect him. The two families stayed in touch after the war, and Georges often spent time over the holidays with his rescuers. Forty years after liberation, during “Operation Moses” in the winter of 1984-1985, Georges Gutelman himself became the rescuer of thousands of Jews. He provided the Israeli authorities with planes from his own airline company to rescue thousands of Ethiopian Jews. These immigrants had endured a long and difficult trek crossing into Sudan and were awaiting rescue at camps in the desert. The planes flew them via Belgium to Israel – their long-awaited promised land. On 13 June 2017, Yad Vashem recognized Henri and Emilie Lamberty as Righteous Among the Nations. To date, Yad Vashem has recognized some 27,000 individuals from over 50 countries as Righteous Among the Nations.